ITALIAN car maker Alfa Romeo will use the upcoming 2016 Paris International Motor Show to debut the stunning 2017 Guilia Veloce, a car designed to embody distinctive Italian design, high-performance engines, perfect weight distribution, unique technical solutions and supreme weight-to-power ratio. Considered Alfa’s flagship performance option, the Giulia Veloce will come with two new engine options; a 208kW (400Nm torque) 2.0-litre Turbo petrol and the 157kW 2.2-litre Diesel, both with 8-speed automatic transmissions and the unprecedented Q4 all-wheel drive. 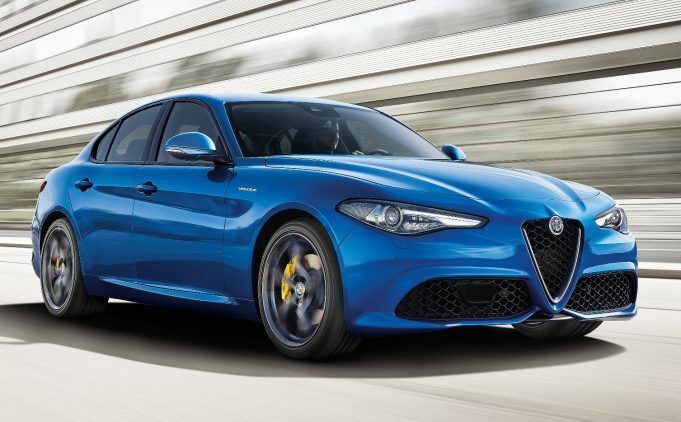 In Paris, the Alfa Romeo Giulia (being launched in the as yet unseen but pictured here – Blue Misano colour scheme) will be unveiled in five different guises: the two new Veloce incarnations, two Super versions and a captivating Quadrifoglio. Alongside these creations, the public can also view the New Giulietta Veloce and the New Mito Veloce, both featuring a pronounced family feeling with the Giulia, as well as the Coupé and Spider versions of the Alfa Romeo 4C, the brand’s modern icon.